The Association Model African Union Bayreuth e.V. The Association Model African Union Bayreuth e.V. organizes and hosts an annual MAU conference with well-grounded contents and fascinating debates on political and socioeconomic challenges in which Africa is envolved. Apart from that we arrange cultural and educational events throughout the year. The Africa focus of the University of Bayreuth offers an especially rich background for the MAU Bayreuth: Several Africa focused studies, a large number of students and PhD candidates with African origin, a library equiped with numerous scientific publications concerning Africa and many Africa focused research projects. Additionally, the municipality of Bayreuth offers regular cultural events with regard to Africa, for instance the annual Africa Film Festival in the Cineplex cinema or the diversified events in the areas of African art, music and culture in the Iwalewahaus Bayreuth. Because of that diverse and supportive environment Bayreuth has been the ideal location to host for th successful First German Model African Union 2016. Since its creation, the Association is active in finding and expanding its cooperation with potential partners. So far, the University of Bayreuth, the student parliament of Bayreuth, the Bayreuth International Graduate School of African Studies are some of the local institutions the Association is co-working with. On the international level the Association is working hard to be well known and has its activities valued by the African Union, the African political sphere and European Union. The presence of Dr. Salla Hamad, from the AU, and Kah Walla from the Cameroonian political arena as guest speakers of the MAU Conference 2016 as well as the visit of MAU and BIGSAS-Members to the European Union are significant signs of the international scope of the Association. Founded in February 2015, the MAU Bayreuth held its first elections in May 2015, and from that point, started to specify the labour division within the Association as well as to develop stable structures. As a result of raising interest, the number of members increased exponentially since the foundation of the Association. The Association has three bodies: The General Assembly, the Management Board and the Departments. The General Assembly consists of all members with the right to vote. It votes the Management Board and approves it into office. The Management Board is composed of two Presidents, two Secretaries and a Treasurer. The Departments (Education, Culture and Fundraising and IT) assist the Management Board in the execution of different projects. Furthermore the Association has founded its first section on the African Continent. This section is currently based in Togo at the University of Lomé. The MAU conference is one of the major activities of the Association in the year. Additionally, the Association organizes workshops on a variety of topics through which issues on African politics, socioeconomic and cultural life are raised. How can I become a part of MAU Bayreuth? Interested persons can take part in the activities of the Association. 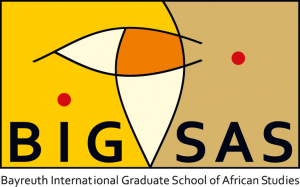 In particular the Association welcomes warmly people who are interested in Africa and want to get in touch with people from different backgrounds, studies, countries. There joining MAU does not necessarely requiere pre-knowledge on Africa or Africa related topics. Because through the participation in the associations’ events one acquires knowledge on Africa with a huge possbility to exchange with African members of the Association. How often do you meet? And how one can join? During the session we have regular Content Meetings twice a month and irregular General Meetings. For those who are interested in organizing the conference, there are extra Secretariat Meetings. You can decide which meetings you are interested in and join them.